Mailbox Monday is hosted by Marcia at The Printed Page, but for the month of October MM is on tour and hosted by Avis at She Reads and Reads. Hey there friends! I hope this Monday finds you all well and reading something fantastic! Speaking of fantastic reads, I received two books for review this week and am so super excited to get to them! Margaret of Anjou, Queen of England, cannot give up on her husband-even when he goes insane. And as mother to the House of Lancaster's last hope, she cannot give up on her son-even when all England turns against him. This gripping tale of a queen is at its heart a tender tale of love: passionate, for her husband, and motherly, for her only son. SYNOPSIS: As heiress to the famous Laurent Fashion Dolls business, Marguerite Ashby's future seems secure. But France still seethes with violence in the wake of the Revolution. And when Marguerite's husband is killed during a riot, the young widow travels to Edinburgh and becomes apprentice to her old friend, Marie Tussaud, who has established a wax exhibition. When Prime Minister William Pitt commissions a wax figure of Admiral Nelson, Marguerite becomes immersed in a dangerous adventure - and earns the admiration of two very different men. And as Britain battles to overthrow Napoleon, Marguerite will find her loyalties under fire from all sides. 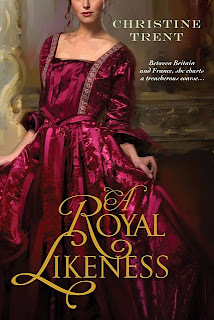 With a masterful eye for details, Christine Trent brings one of history's most fascinating eras to life in of a story of desire, ambition, treachery, and courage. 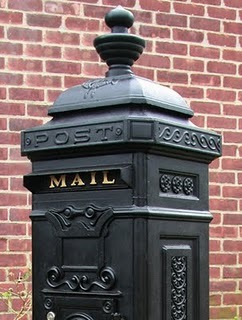 Well, that's my mailbox....what goodies came your way? I would love to read both of those! You got great ones! 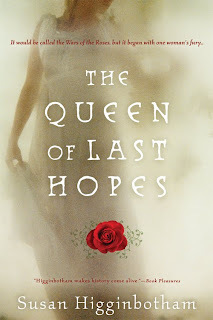 Can't wait to get my hands on The Queen of Lost Hopes! You got good stuff!! enjoy your loot! I got both of these two as well. Except the Trent one didn't come until this week and it went to my parents house, so I will have to stop down and pick it up! Susan Higginbotham's new book looks good. I'll keep an eye out for your review. Happy reading! I didn't realise there was new Christine Trent on the way! Nice! I got Susan Higginbotham's new one too! When I do my Mailbox Monday post for October it is going to be a very long post! So many books came into my house this month, and there are still more to come! New Jean Plaidy re-issue out in 2011!